Today was a great closing to a formative and inspiring week! The participants began the morning with a lecture by Dr. John Strait. He discussed some of the major themes of the week- blues, culture, and religion- and how these aspects of the Delta spread throughout America. After a break from lunch, participants returned to make their “Mojos”. This activity involved “tying-up” everything inside a bag of mojo. The mojo bag includes items such as flowers from the Chinese cemetery, red brick from Dockery plantation, and pieces of Fannie Lou Hamer’s voter registration form, and it is a tool that will help the teachers remember all that they learned here in the Delta. Finally, participants completed evaluations and prepared to say goodbye to the Mississippi Delta- the Most Southern Place on Earth. The National Endowment for the Humanities announced Wednesday that it will continue funding national programs such as the Delta Center’s Most Southern Place on Earth workshops. Photos by Amy Kramer and Brady Gilliam. The National Endowment for the Humanities announced Wednesday a total of $36.6 million in grants for 212 humanities projects, including an exhibition on Mexican modern art from 1910-1950 at the Philadelphia Museum of Art, the excavation of the 17th-century Plymouth Colony settlement in Massachusetts, and publication of the personal papers of Martin Luther King, Jr. dating from the campaign to desegregate Birmingham and the historic 1963 March on Washington. This funding will support a wide variety of projects including traveling exhibitions, the creation of new digital research tools, the preparation and publication of scholarly editions, professional development opportunities for teachers and college faculty, the preservation of cultural collections, collaborative humanities research, and the production and development of films, television and radio programs. The Landmarks of American History and Culture: Workshops for School Teachers is one of over a dozen grant categories that NEH funds. The purpose of this grant category is to support a series of one-week workshops for K-12 educators that address central themes and topics in American history, government, literature, art history and other humanities fields related to historic landmarks. For the seventh year, The Delta Center for Culture and Learning at Delta State University has been awarded a grant in this category for “The Most Southern Place on Earth: Music, History, and Culture of the Mississippi Delta” workshops. “We are pleased that the National Endowment for the Humanities continues to support the ‘Most Southern Place on Earth’ workshops,” said Dr.Dr. Rolando Herts, director of The Delta Center. “These workshops have educated and inspired so many teachers and students across the country. The Mississippi Delta was designated by Congress as a National Heritage Area in 2009. This means that our region is federally recognized as a cultural landscape featuring many educationally and economically significant landmarks. 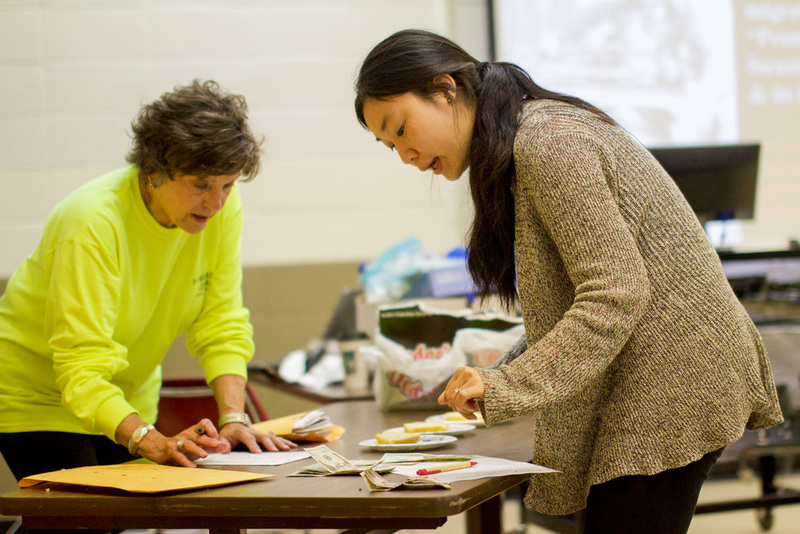 The Most Southern Place on Earth workshops expose K-12 educators from throughout the United States to the Mississippi Delta’s rich history and cultural heritage. The workshops use an experiential learning approach, engaging participants directly with historically and culturally significant people and places in the MDNHA. Participants take what they have learned from the workshops back to their schools and communities, sharing stories and lessons from the MDNHA with students, colleagues, family and friends, nationally and globally. Over the years, many past participants have made return visits to the region, bringing others with them, which has broadened the NEH workshops’ educational and economic impact. Institutions and independent scholars in 42 states and the District of Columbia will receive NEH support. Complete state-by-state listings of grants are available online. The mission of The Delta Center is to promote greater understanding of Mississippi Delta culture and history and its significance to the world through education, partnerships and community engagement. The Delta Center serves as the management entity of the MDNHA and is the home of the NEH Most Southern Place on Earth workshop and the International Delta Blues Project. For more information, visit http://www.deltastate.edu/academics/delta-center-for-culture-and-learning/. The MDNHA a is a partnership between the people of the Mississippi Delta and the National Park Service. The MDNHA was designated by U.S. Congress in 2009 and is governed by a board of directors representing agencies and organizations defined in the congressional legislation. More information about the MDNHA, including the complete approved management plan, is available at http://www.msdeltaheritage.com. 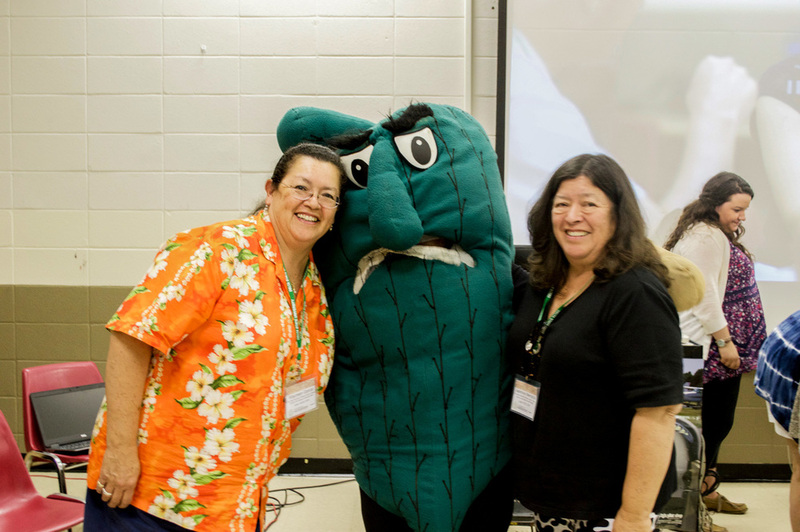 In total, 72 K-12 teachers from across the nation took part in this summer's "Most Southern Place on Earth" workshops. Photos by Amy Kramer and Brady Gilliam. The National Endowment for the Humanities’ “Most Southern Place on Earth” workshop, presented twice this summer (June 21-27 and July 12-18) by The Delta Center for Culture and Learning at Delta State University, exposed 72 K-12 teachers from throughout the United States to the Mississippi Delta’s rich history and cultural heritage. Workshop participants represented 33 states, including Alaska, California, Florida, New Hampshire and Indiana. Several teachers from Mississippi participated as well, including a teacher from Mound Bayou. Over the past six years, the NEH workshops have brought over $1 million in federal grants to Delta State University. Through these grants, the workshops have generated educational and economic spread effects regionally and nationally. The workshop model uses an experiential learning approach, giving participants direct contact with and access to historically and culturally significant people and places in the Mississippi Delta. Dr. Rolando Herts, director of The Delta Center, said this approach inspires deeper understanding of historical events among the participants. The approach also stimulates economic activity, as workshop participants stay in hotels, dine in restaurants and visit educational attractions in Cleveland, Bolivar County and the Delta region. The NEH workshop has created a national network of over 500 educational and cultural ambassadors for the MDNHA. Participants take what they have learned from the workshop back to their schools and communities, sharing stories and lessons from the Delta with students, colleagues, family, and friends nationally and globally. Over the years, many past participants have made return visits to the region, bringing others with them, which has broadened the workshop’s educational and economic impact for the MDNHA. Dr. Luther Brown, former director of The Delta Center, returned to serve as lead facilitator of this year’s workshops, with support from Lee Aylward, and Brady Gilliam and Amy Kramer, both Robertson Scholars from Duke University and the University of North Carolina at Chapel Hill. Workshop participants heard presentations from blues, southern religion and great migration experts, including: Dr. David Evans, professor of ethnomusicology and regional Studies, University of Memphis; Mississippi Delta native, Dr. Edgar Smith, former vice president of Academic Affairs, University of Massachusetts System; Dr. Charles Reagan Wilson, former director of the Center for the Study of Southern Culture, University of Mississippi; and Dr. John Strait, professor of geography at Sam Houston State University. In addition, workshop participants were engaged with living historical figures, including civil rights activis Charles McLaurin, who met Fannie Lou Hamer while working with the Student Nonviolent Coordinating Committee; Cathy Wong, who spoke about the presence of Chinese in the Delta and their cultural influence; and key people involved with the Emmett Till story, including Till’s cousins Simeon Wright and Wheeler Parker, both of whom were with Till before his murder. Participants also visited many historical and educational points of interest throughout the region, including: Dockery Farm, known as the birthplace of the blues, located between Cleveland and Ruleville; Taborian Hospital in Mound Bayou; Emmett Till Intrepid Center in Glendora; blues legend Robert Johnson’s gravesite at Little Zion Missionary Baptist Church and Fort Pemberton in Greenwood; and the 1927 Flood Museum, Century of History Museum at Hebrew Union Congregation, and Chinese and African American cemeteries in Greenville. The group also traveled to Memphis, the Delta’s largest city, to visit The Cotton Museum, National Civil Rights Museum and Stax Museum of American Soul Music. The mission of The Delta Center is to promote greater understanding of Mississippi Delta culture and history and its significance to the world through education, partnerships and community engagement. The Delta Center serves as the management entity of the MDNHA and is the home of the NEH’s “Most Southern Place on Earth” workshop and the International Delta Blues Project. For more information, visit http://www.deltastate.edu/academics/delta-center-for-culture-and-learning/. The Mississippi Delta National Heritage Area is a partnership between the people of the Mississippi Delta and the National Park Service. The MDNHA was designated by U.S. Congress in 2009 and is governed by a board of directors representing agencies and organizations defined in the congressional legislation. More information about the MDNHA, including the complete approved management plan, is available athttp://www.msdeltaheritage.com. WILL interns and Dr. Morford from the University of Illinois Laboratory High School pose in front of Coahoma County Higher Education Center with Alysia Burton Steele (left) and Dr. Rolando Herts (right) of The Delta Center. The Delta Center for Culture and Learning and the Coahoma County Higher Education Center recently hosted an oral history session in Clarksdale. The session featured University of Mississippi photojournalism professor Alysia Burton Steele, author of “Delta Jewels: In Search of My Grandmother’s Wisdom,” a collection of oral histories and photographs of African American church mothers from the Mississippi Delta. Dr. Janet Morford, history teacher and director of the WILL oral history internship program (http://will.illinois.edu/community/project/university-high-documentaries) in the Department of Social Studies at University of Illinois Laboratory High School, brought 11 of her high school interns to the Delta to conduct oral histories. Morford is a June 2014 alumnus of The Delta Center’s National Endowment for the Humanities “Most Southern Place on Earth” workshop. She learned about Steele’s oral history work from Dr. Luther Brown, retired director of The Delta Center. For the latest Most Southern e-blast, Herts encouraged Brown to include information about Steele’s “Gathering of the Delta Jewels” event taking place in Mound Bayou. When Morford read about it, she realized that her oral history team would be visiting the Delta during the event. She seized the opportunity to connect her students with Steele. The Delta Center convened the group based on its relationships with Morford, Steele and the CCHEC through NEH, the MDNHA and Delta State. This yielded a rich conversation about the importance of connections in oral history work. Morford and her team members were thrilled with the experience. Herts facilitated an overview of these connections, highlighting the roles and contributions of all session participants. Jen Waller, director of the CCHEC, gave a brief historical overview of the CCHEC complex and its relationship with Delta State. Jen Waller, director of the CCHEC. The Delta Center’s Lee Aylward discussed how the group’s visit helps to fulfill and sustain the educational impact of the NEH workshop. Herts shared The Delta Center’s mission and its work with the MDNHA to promote the history and culture of the Delta, in part through oral history research. This led to the introduction of Steele as the featured presenter. Steele was thrilled that Morford contacted her about meeting with the WILL interns and was pleased that The Delta Center and CCHEC were willing to host the session. She made a special trip from Oxford to Clarksdale to participate in the session, ready to share the joys and challenges of the oral history craft. Bill Sutton, a history teacher at the University Laboratory School, who is traveling with Morford and the student interns, has made educational visits to the Delta in the past. He inspired Morford to apply for the NEH Most Southern workshop and is pleased to see the results of her participation. Student WILL Intern Iulianna Taritsa also appreciated the unique opportunity. The Delta Center has offered the NEH Most Southern workshop for the past six years. This summer, 74 K-12 educators from across the U.S. once again are being immersed in two six-day experiential learning workshops in the Mississippi Delta. Participants take what they have learned back to their schools, teaching students and colleagues about the rich history and cultural heritage of the Delta region. The Delta Center has engaged Brown to return to the region and facilitate the workshops. 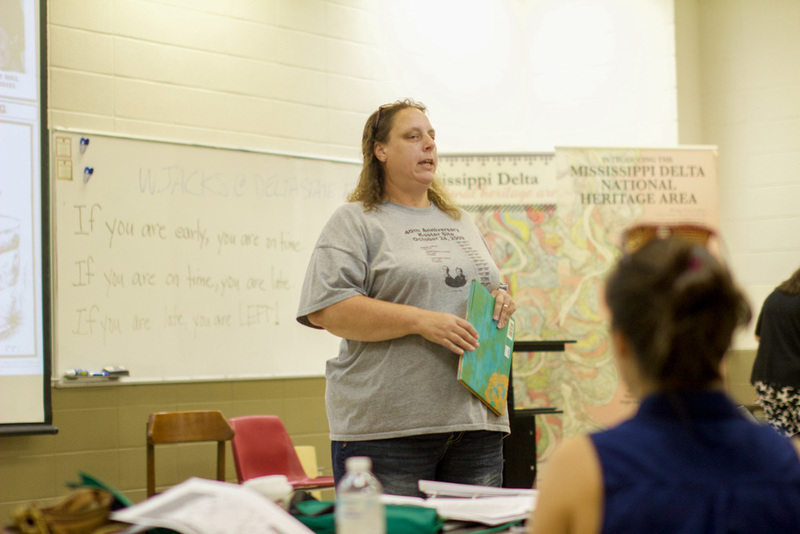 The NEH Most Southern workshops are held at Delta State University and throughout the region. The dates for the 2015 workshops are June 21-27 and July 12-18. For more information, visithttp://deltacenterforcultureandlearning.com/southern-place-workshop/. The mission of the Delta Center is to promote greater understanding of Mississippi Delta culture and history and its significance to the world through education, partnerships and community engagement. The Delta Center serves as the management entity of the Mississippi Delta National Heritage Area and is the home of the National Endowment for the Humanities “Most Southern Place on Earth” workshop and the International Delta Blues Project. For more information, visit http://www.deltastate.edu/academics/delta-center-for-culture-and-learning/. The Coahoma County Higher Ed Center is a partnership between Delta State University and Coahoma Community College. Its mission is to expand educational opportunity for the people in Coahoma County and surrounding counties by offering classes and events that will encourage personal development and promote a higher quality of life for all people in the Mississippi Delta. The Delta Center at Delta State recently hosted a reunion for the Williamson family of Sunflower County. The Delta Center for Culture and Learning at Delta State University recently provided a heritage tour for the Williamson family reunion. The 10 Williamsons grew up on the Sunflower Plantation in Sunflower County, the children of Audra and Ollice. Since the death of their parents in 1981 and 1982, they have gathered each summer in a central location to honor the memory of their parents. This year they decided to host the reunion in Cleveland so they could visit the old home place. The tour, led by Lee Aylward of The Delta Center, included visits to Dockery Farms, the birthplace of Delta Blues and Po Monkey’s Lounge, one of the last remaining rural juke joints. They also visited old cemeteries to teach the younger ones about their heritage. The family also enjoyed Sunday morning worship at the church they grew up attending. In addition to visiting these heritage sites, the Williamsons dined in local restaurants and stayed at hotels in Cleveland. These activities yielded economic infusion into the Cleveland community. “Family reunions and town homecomings are a salient feature of Mississippi Delta culture,” said Dr. Rolando Herts, director of The Delta Center. “During the 20th Century, thousands of people – black and white – moved out the Delta to Northern cities like Chicago and Detroit, seeking economic opportunity, a more tolerant racial climate, and better quality of life overall. The groups of families and community members that moved still consider the Delta home, and they return here at least once a year. The Williamson reunion attracted family members from seven states. There are 108 immediate descendants, 99 still living as well as 22 grandchildren, 34 great-grandchildren, and two great-great grandchildren, with one on the way. Delta Center staff establish one of the new locations participating in the MDNHA Passport Program. The Delta Center for Culture and Learning was recently asked to be a guest at the Leland Rotary Club. Dr. Rolando Herts, director of the Delta Center and the Mississippi Delta National Heritage Area, gave the audience an update on the MDNHA and its new Passport Program. Delta Center staff members Lee Aylward and Heather Miller briefed the group on how the MDNHA Passport Program is working to bring tourists to the Delta region. The Delta Center then delivered passport stations to two Leland locations that have elected to take part in the program — the Kermit the Frog Museum and the Highway 61 Blues Museum. The MDNHA sponsored the initial placement of one passport station in each of the Delta’s 18 counties. In Washington County, where Leland is located, the first passport was placed at the Washington County Convention and Visitors Bureau. Leland is the first municipality in the Delta to sponsor its own participation in the program by purchasing passport stations. Photos of the Leland passport stations will be included on the official list of MDNHA Passport Program locations, available at http://www.msdeltaheritage.com/ms-delta-national-heritage-area-mdnha-passport/. Delta-based municipalities, businesses, cultural attractions, heritage sites, or other organizations that are interested in participating in the Passport Program should contact The Delta Center regarding the application process. For more information, call 662-846-4311 or email Heather Miller at hmiller@deltastate.edu. Dr. Rolando Herts provided students from Emory University of Atlanta an overview of the Mississippi Delta National Heritage area. The Delta Center for Culture and Learning at Delta State University hosted Emory University of Atlanta for an experiential learning tour of the Mississippi Delta region. Lee Aylward, program associate for education and community outreach for The Delta Center, provided an introduction of Delta history to the group, and Director Dr. Rolando Herts provided an overview of the Mississippi Delta National Heritage Area. The group traveled throughout the week around the Delta experiencing cultural heritage sites. The mission of The Delta Center is to promote greater understanding of Mississippi Delta culture and history and its significance to the world through education, partnerships and community engagement. The Delta Center serves as the management entity of the Mississippi Delta National Heritage Area and is the home of the International Delta Blues Project. For more information, visit www.deltastate.edu/academics/delta-center-for-culture-and-learning. The Delta Center for Culture and Learning at Delta State University recently provided an experiential learning tour to Mississippi State University's Alternative Spring Break group. The Delta Center for Culture and Learning at Delta State University recently provided an experiential learning tour of the Mississippi Delta region to Mississippi State University’s Alternative Spring Break group, which is sponsored by the Office of Student Leadership and Community Engagement at MSU. The group was led by student volunteers and were housed for the week at the North Greenwood Baptist Church. They were treated to an introduction to Delta history by the Delta Center’s Lee Aylward. Delta Center director Dr. Rolando Herts provided an overview of the Mississippi Delta National Heritage Area. The group travelled throughout the week around the Delta experiencing cultural heritage sites, agricultural sites and educational groups. The group spent their evenings watching movies about the Delta and reflecting on lessons learned throughout the day. The mission of The Delta Center is to promote greater understanding of Mississippi Delta culture and history and its significance to the world through education, partnerships and community engagement. The Delta Center serves as the management entity of the Mississippi Delta National Heritage Area and is the home of the International Delta Blues Project. For more information, visit http://www.deltastate.edu/academics/delta-center-for-culture-and-learning. Dr. Rolando Herts (left to right), director of the Delta Center for Culture and Learning and the Mississippi Delta National Heritage Area, recently met with Cheryl Taylor, executive director, Museum of the Mississippi Delta; Tonja Ray Smith, executive director, Greenwood Convention & Visitors Bureau; and Luther Wade, president, Greenwood Rotary Club. Dr. Rolando Herts, director of the Delta Center for Culture and Learning and the Mississippi Delta National Heritage Area (MDNHA), visited Greenwood recently to share updates on the implementation of the MDNHA Management Plan. The visit included a tour of the Museum of the Mississippi Delta to discuss their renovation plans and a presentation to the Greenwood Rotary Club. Cheryl Taylor, executive director of the Museum of the Mississippi Delta, gave Herts a tour of the museum, which is scheduled to reopen in May. Taylor will use the MDNHA Management Plan to help guide the creation of new exhibits that will interpret the history of the Mississippi Delta. The MDNHA’s five cultural heritage themes are: (1) The Mississippi Delta and the Land It Embraces; (2) The Culture of the Blues and the Birth of an American Sound; (3) Moving Toward Freedom: Changing America’s Character in the Struggle for Rights; (4) Growing More than Cotton: The Delta as a Wellspring of Creativity; and (5) The Delta Divide: Creating the Delta’s Diverse Communities. After touring the museum, Herts spoke at the Greenwood Rotary Club. The presentation included an overview of the Delta Center’s role as MDNHA’s management entity, as well as the MDNHA’s goals and themes. Herts also discussed recent expansion of the MDNHA Passport Program throughout the 18-county region. The Greenwood Convention and Visitors Bureau serves as the passport stamp location for Leflore County. Herts also highlighted upcoming partnership events that promote MDNHA cultural heritage themes. These events include the opening reception of the Winning the Race diversity conference at Delta State University scheduled for March 30, which will provide Delta residents and visitors an opportunity to meet Robert Stanton, the first African American director of the National Park Service. The MDNHA will also be hosting Delta Jewels Community Gatherings featuring journalism professor, Alysia Burton Steele, and her new book of photography and oral histories on African American church mothers from the Delta. The gatherings will take place in municipalities across the region, including Clarksdale, Charleston, Ruleville, Indianola and Yazoo City. The MDNHA is a partnership between the people of the Mississippi Delta and the National Park Service. The MDNHA was designated by U.S. Congress in 2009 and is governed by a board of directors representing agencies and organizations defined in the Congressional legislation. More information about the MDNHA, including the complete approved management plan, is available at www.msdeltaheritage.com. The mission of the Delta Center is to promote greater understanding of Mississippi Delta culture and history and its significance to the world through education, partnerships and community engagement. The Delta Center serves as the management entity of the MDNHA and is the home of the International Delta Blues Project. For more information, visit http://www.deltastate.edu/academics/delta-center-for-culture-and-learning/. L-R: Rabbi Harry Danzinger, Lee Aylward, Nate, Emily, and Zoe Rubenstein, children of Tammy and David Rubenstein of Oxford, and Dr. Rolando Herts. Dr. Rolando Herts and Lee Aylward of the Delta Center for Culture and Learning at Delta State University recently participated in the Chanukah (or Hanukkah) observance at Temple Adath Israel in Cleveland. They attended the service to celebrate the holiday with community members, as well as to represent the Mississippi Delta National Heritage Area. Temple Adath Israel is a Reform Jewish synagogue in Cleveland, Miss. The Congregation was organized in 1923; a Hebrew school had been started the previous year. The congregation’s Byzantine Revival synagogue was built in 1927. An annex, designed by architect Harold Kaplan of Greenville, Miss., was completed in 1949-1950. The Temple was listed on the National Register of Historic Places in 2002. Chanukah is an eight-day Jewish holiday commemorating the re-dedication of the Holy Temple (the Second Temple) in Jerusalem at the time of the Maccabean Revolt against the Seleucid Empire of the 2nd century B.C. Chanukah is observed for eight nights and days, starting on the 25th day of Kislev according to the Hebrew calendar, which may occur at any time from late November to late December in the Gregorian calendar. This is Jewish Year 5775, and Chanukah is observed from sunset on Dec. 16 until nightfall on Dec. 24, 2014. The festival is observed by the kindling of the lights of a unique candelabrum, the nine-branched menorah or hanukiah, one additional light on each night of the holiday, progressing to eight on the final night. The typical menorah consists of eight branches with an additional visually-distinct branch. The extra light is called a shamash and is given a distinct location, usually above or below the rest. The purpose of the shamash is to have a light available for practical use, as using the lights themselves for purposes other than publicizing and meditating upon Chanukah is forbidden. The Mississippi Delta National Heritage Area is a partnership between the people of the Mississippi Delta and the National Park Service. The MDNHA was designated by U.S. Congress in 2009, and its management plan was approved in August 2014. More information about the MDNHA, including the complete approved management plan, is available at www.msdeltaheritage.com. The mission of the DCCL is to promote greater understanding of Mississippi Delta culture and history and its significance to the world through education, partnerships and community engagement. The Delta Center serves as the management entity of the MDNHA and is the home of the International Delta Blues Project. For more information, visit http://www.deltastate.edu/academics/delta-center-for-culture-and-learning/.